The delicious and healthy fruit pomegranate enjoys a long history of connection with the human race. Now, a fairly recent medical study revealed that the pomegranate can stop or even reverse the progress of cardiovascular diseases, reported a GreenMedInfo article. Published in the medical journal Atherosclerosis, the study involved a breed of mice that was prone to developing coronary artery blockages. Researchers gave the three-week old animals pomegranate extract through their drinking water for two weeks. Atherosclerosis is the primary cause of heart attacks. The pomegranate extract-based treatment very clearly reduced the presence of atherosclerotic plaques in the aortic sinus. It also decreased the percentage of blocked coronary arteries. Famous scientist Linus Pauling believed cardiovascular disease develops in the absence of vitamin C. Humans are unable to bio-synthesize vitamin C so we need to take it from external sources such as fruits. According to GreenMedInfo, the astringent taste in the mouth of a person consuming pomegranate seeds or juice is similar to its cleansing effect on the interior walls of the arteries. The lining of human mouths and arteries are made of epithelial cells, which constitute epithelium. The astringent effect in the mouth results from the shrinkage and disinfection of epithelium layers. A similar process is taking place in your arteries. GreenMedInfo also reported that a separate research study from 2004 discovered that year-long consumption of pomegranate juice reversed the build-up of deadly plaque in the arteries of patients who were suffering from plaque blockage of 70 to 90 percent of their internal carotid arteries. “The mean intima media thickness of the left and right common carotid arteries in severe carotid artery stenosis patients that consumed pomegranate juice for up to one year was reduced after three, six, nine, and 12 months of pomegranate juice consumption by 13 percent, 22 percent, 26 percent, and 35 percent, respectively,” said the 2004 Israeli study. According to the researchers, pomegranate exhibited three properties responsible for its effectiveness against atherosclerosis. First, pomegranate possesses antioxidant properties. It prevents heart disease from overcoming the body’s ability to purge toxins or repair damage. Second, the fruit was proven to lower systolic blood pressure. It can heal the endothelium lining the inner part of the artery, allowing it to relax and function properly. Finally, pomegranate has a positive effect on plaque-causing lesions. By reducing cholesterol and lipid peroxides as well as preventing oxidation of low-density lipoprotein, pomegranate makes the lesion smaller and less capable of causing atherosclerosis. GreenMedInfo called the finding “quite revolutionary”. Current medical knowledge diagnoses carotid artery stenosis (the abnormal narrowing of the major blood vessels that supply the brain and head) through the size of the plaque-causing lesion. No one has looked at the lesion’s quality. The second study also suggested that measuring the quantity of cholesterol in the blood does not give an accurate picture of the body’s health. Low-density lipoproteins remained benign unless oxidized. By improving the body’s internal environment, pomegranate reduced the rate at which bad cholesterol got oxidized into plaque, thereby preventing atherosclerosis. 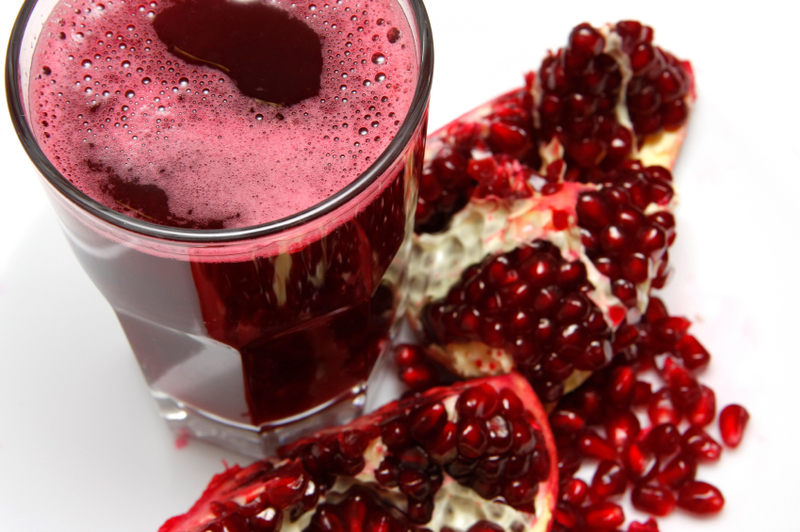 Finally, the study showed that pomegranate juice does not interfere with conventional drugs. In fact, it either complemented or compensated for them. All the participants in the second study were also undergoing drug-based treatment. Several members of the control group (which did not receive any pomegranate) deteriorated despite taking drugs. Read Health.news for more coverage of health and medicine discoveries.